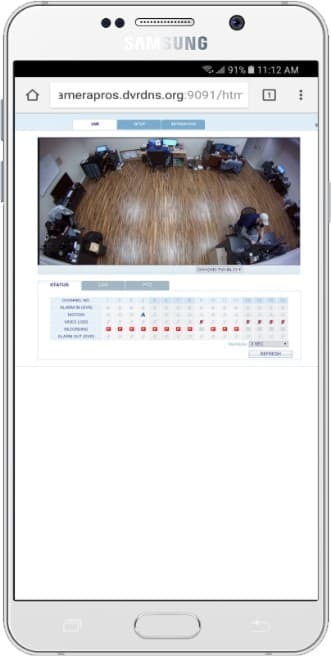 iDVR-PRO HD CCTV DVRs support remote security camera viewing using the iDVR-PRO Viewer app for Android mobile devices. 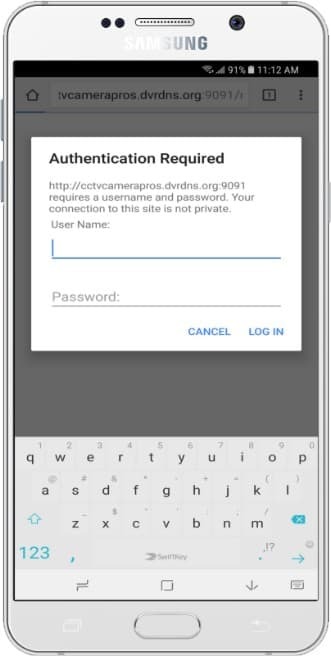 Users can also access their security cameras using the Chrome web browser built into Android. The native Android app is the recommended way to access. 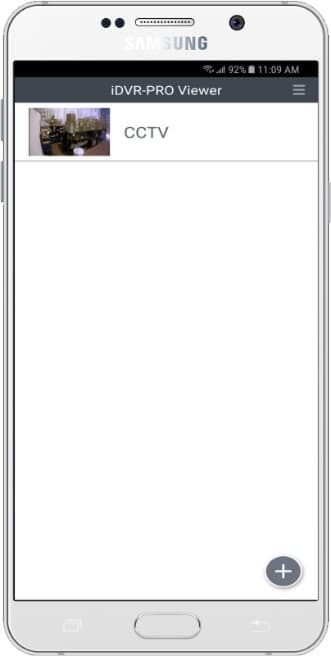 The Web browser view allows the user to view each of their cameras one at a time. 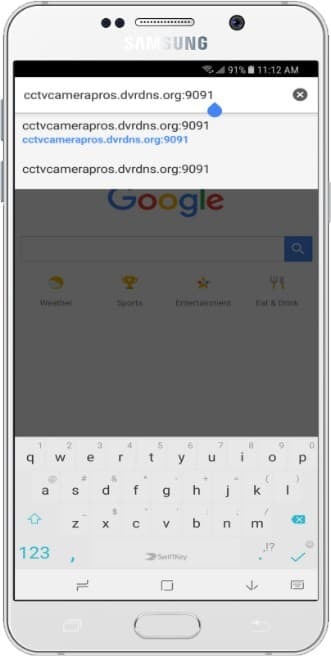 In addition to live-view, the Android app also supports controlling PTZ cameras and playing back video surveillance footage recorded on the DVR's hard drive. 1. First, ensure that the correct ports are forwarded in the router the iDVR-PRO is connected to. If you have not yet done this, please visit our Network Setup / Port Forwarding article (Note: If you are using an iDVR-PRO A, H, or M series, please refer to the iDVR-PRO 960H Network Setup / Port Forwarding article). 4. You will now see your DVR. You are able to select the specific channel by using the drop-down menu. 1. First, ensure that the correct ports are forwarded in the router the iDVR-PRO is connected to. If you have not yet done this, please visit our Network Setup / Port Forwarding article. 2. Download the iDVR-PRO VIewer App in the Google Play Store. Once downloaded, open the iDVR-PRO VIewer App. 3. Now enter your DVR's information by pressing the Add Connection button on your Android device. Once you have all of your DVR's information entered, press the Save button. 4. Once the DVR information is saved, go back to the home screen and select the DVR by pressing the name. 5. You will now see your iDVR-PRO. 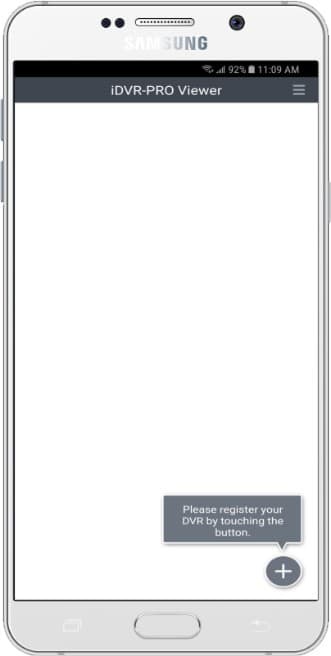 You can switch to a quad camera view by tapping the screen and pressing the quad button on the left-hand side. Click here to learn more about the latest iDVR-PRO CCTV DVRs. If you do not currently have an iDVR-PRO and would like to log in to the demo unit at our office, please request a demo login below. You will be able to log in from iPhone, iPad, and Android mobile devices. You can also log in from Macintosh and Windows computers. Please click here to request a demo login. Did you know? 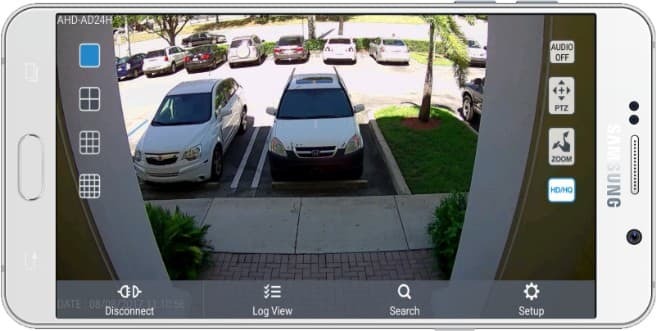 CCTV Camera Pros can provide a complete surveillance system quote that includes any iDVR-PRO model with cameras, cables, connectors, power supplies, and monitors? We can even mix and match SD and HD security cameras because the latest iDVR-PROs are hybrid. They work with CCTV, AHD, and HD-TVI type cameras. As you have probably already seen on our website, we have 2, 4, 8, and 16 camera surveillance systems in pre-made packages. However, it is not possible for us to package up every combination and quantity of all the different camera models that we carry. So, we can also provide you with a custom quote with as many cameras as you need and a mix of any combination of camera model(s) based on your project requirements. This article was written by Mike Haldas, co-founder and managing partner of CCTV Camera Pros. 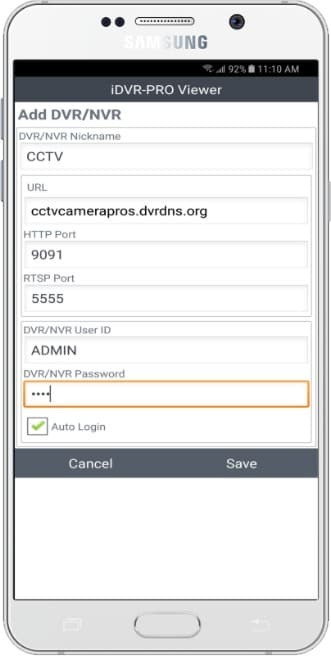 If you have any questions about iPhone security camera app for iDVR, please email me at mike@cctvcamerapros.net.